Cruiser bikes are some of the most comfortable and stylish bikes found anywhere! 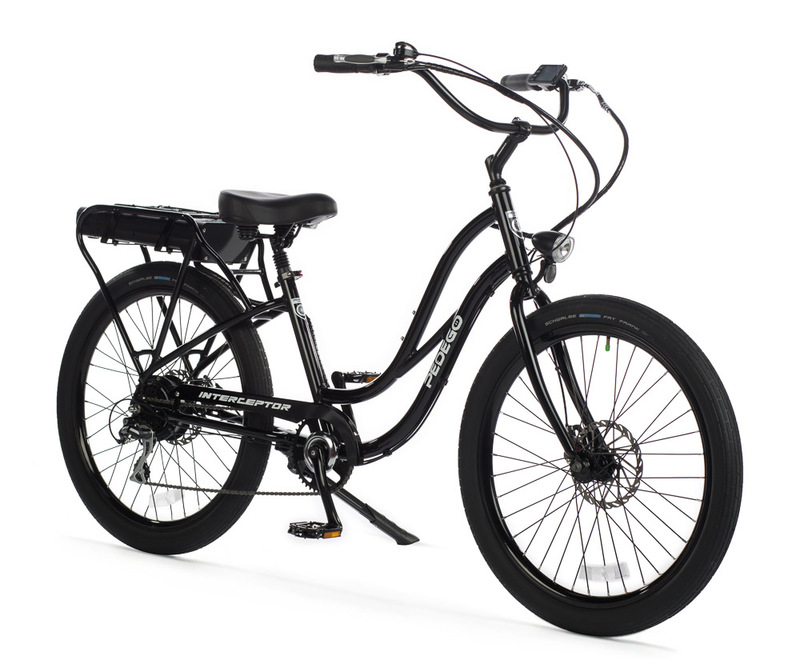 From sleek lines to comfortable, curved handlebars, the Pedego Interceptor line is ready to tackle the streets like a pro - and look awesome doing it! The electric bike for those who refuse to settle for less - making America's best selling electric bike even more lovable with new premium upgrades! 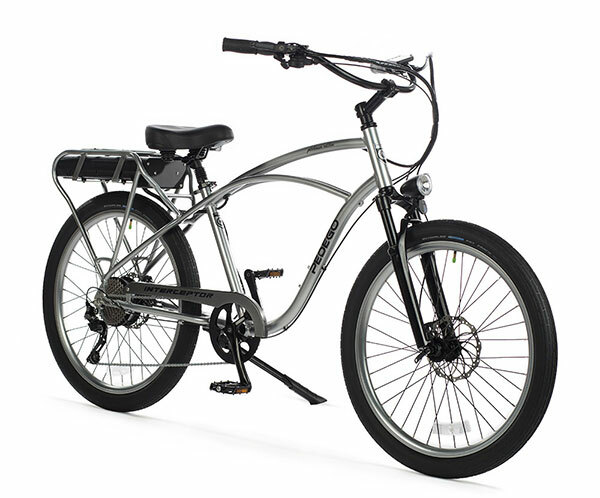 Available as a classic (pictured) or step-thru frame, this bike is the top of the line in cruiser style electrics! - A larger front chainring and deluxe 10-speed drivetrain for a fluid shifting and comfortable riding experience, even at high speeds! - Top of the line hydraulic disk brakes. - A suspension fork for effortless gliding over bumps in the road. The electric bike that has it all! 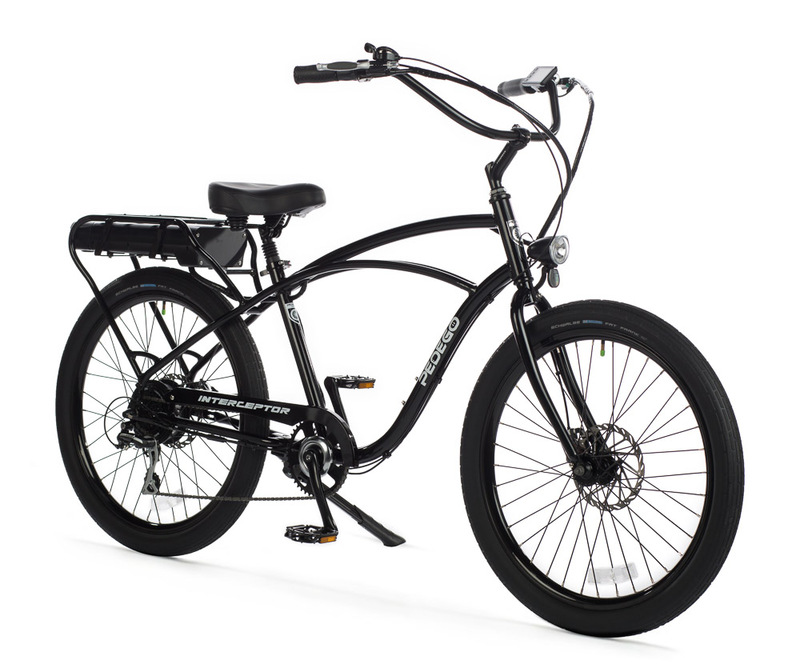 Combining beach cruiser comfort and style with breathtaking performance and user friendly features. Available in a 26" wheel size, with customizable frame and tire packages, as well as two battery sizes! Click below for a detailed spec sheet on this fantastic cruiser! - Special frame geometry allowing for a comfortable upright riding position. - Available in a rainbow of fun color options. - Deluxe saddle with suspension seat post. - Wide, swept back handle bars. The easy to access version of the Interceptor, the Step-Thru frame makes mounting the bicycle easier than ever! Sporting many of the same features as the original frame, this bike is perfect for smaller statured riders or those who prefer less motion to begin riding. Available in a 26" or 24" wheel size, this bike is a perfect fit for any rider! Click below for a detailed spec sheet on this amazing step-thru bicycle!